Glass Cockpit Modified to Steam or Round guages. Quote Reply Topic: Glass Cockpit Modified to Steam or Round guages. What I would like to do is get rid of the glass and make a steam guage version of this panel. I really want to keep everything else on the panel so starting from scratch is not in the plans. The area of where the glass instruments is where I want to replace. 1. Is there anywhere one can get decent analog gauges? I'd be looking for what would be in say a DC-9 of old. Late 70s early 80s vintage. Most of the guages they used back then in the Airliners they used in the Corporate Jets as well. 2. 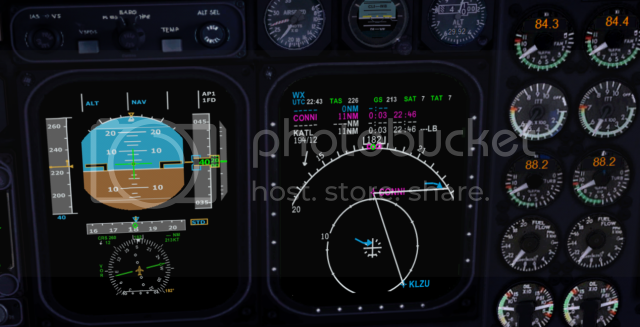 Would there be any issues with bitmaps or left overs if you will from the glass cockpit panel.cfg? Thanks again Bill! Actually going 2d will serve the purpose just fine. Someday ( in retirement ) lol I'd really love to learn how to build gauges both glass and steam. Any ideas where I can go for old school steam gauges for the Beechjet?